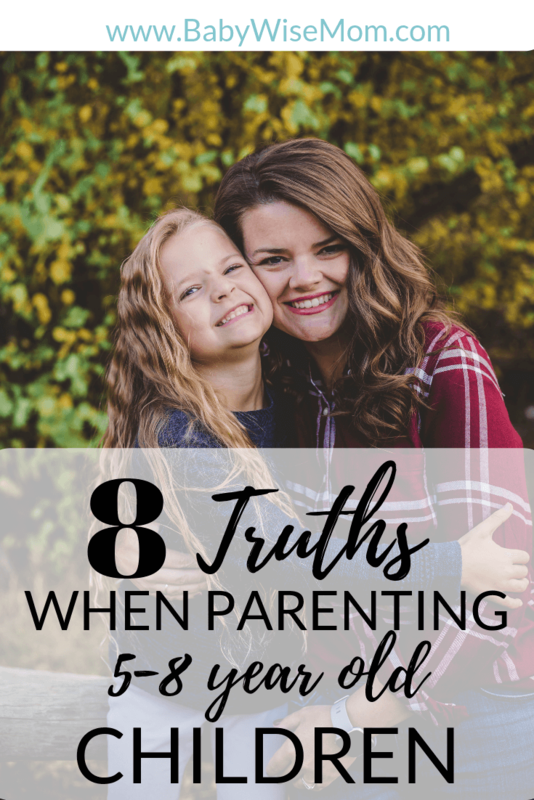 8 Truths About Parenting Children. What it is like to parent the 5-8 year old age range. Prepare your parenting skills and know what to expect. I look at this time post-preschooler as a very calm, peaceful time in parenting life. The 5-8 year old is in between huge growth leaps in life. It almost feels like this time period is simultaneously a reprieve from the storm that was toddler and/or preschool life and a rest time before the storm that is teen life. This isn’t to say parenting a child that is 5-8 years old never has any trouble, you will never need to discipline, and is always easy to parent. There are still challenges. Read on to see the truths to expect during this age–the good and the bad. The 5-8 ish year old is relatively stable and calm. 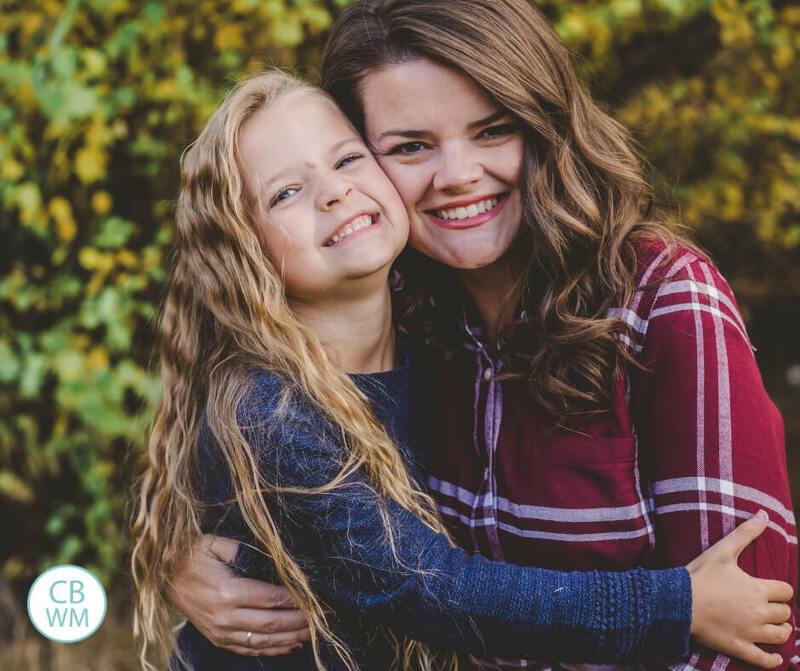 After the turmoil and emotions of toddler and preschooler years, and before the storm of tween and preteen years, this time period is a treasure to hold on to. There isn’t a lot of brain development happening in this stage. Tumultuous times in your child’s life are often associated with heavy brain development. This is a calm in between heavy brain changes. This is a time you can breathe and enjoy life. It is also a time you can put in some great teaching moments for your child. This calm is a great time to instill rules and life skills. Children start school during this stage. School changes life and dynamics of the schedule drastically. I don’t mean that in a dramatic way. You just have schedule constraints you can’t control. School starts and end when it starts and ends. If you have other children in the home, you can’t tweak school around their ideal nap schedule. If you have a baby sleeping at home, you might have to disrupt naps. Your child needs to learn how to interact with other adults, different rules than may be at home, and peers. You no longer have full influence on your child’s life–school enters and has an impact. After school, you might have homework that needs to be done. You are left trying to fit in key elements to your child’s day outside of school hours. Angela said: School is HARD! Schedule will change drastically. Expect lots of afternoon meltdowns, a rise (or even drop) in appetite, and much more attitude! My daughter, 7 and 1st grade, has almost daily meltdowns, same as her bother did. Even more than in kindergarten. Try to view homework as practice, rather than work. Find a routine that works for you. Ours included doing chores and homework first, limited play outside, then dinner. Anita said: Yes 🙄 oh, the attitude 🤦‍♀️ Although I must say the last few months she’s been much better (6 1/2, going into third year of school in Australia). And her obedience levels are probably at an all time high currently. Not sure whether that’s because of school holidays? Time will tell. Parenting babies and toddlers is largely physically exhausting. Yes, it can be emotionally exhausting, too. This childhood age range marks the start of mentally exhausting parenting days. Harmony said: Parenting is a lot less physically exhausting at this point, but really mentally tiring. But you also start to see your training pay off. They start to become actually helpful at the end of this range. She is so right on all points. Your efforts of the younger years really start to pay off. You see those efforts were worth it and you want to let other parents know to hang in there! It is worth it! During this age range, children still look to mom and dad as role models. They copy you and want to be just like you. This is such a powerful time to lead by example. As children get older, they often start to add in some activities. They may join a soccer team, take swim lessons, take a dance class, or take piano lessons. These things complicate your schedule because you have to figure out how to juggle these things with school and the rest of the family. Most children won’t fully enter puberty in the 5-8 year old stage, but many will start to have some early signs. You may start to notice your child develop. It isn’t unusual for a child in this age range to start to need deodorant or to need to shower more often. You might start to see some height, some skin or hair changes (like some greasy-ness joining life), really big feet for the height, and/or some weight coming as the body preps to get larger. These are just a few. Remember girls tend to enter puberty 1-2 years earlier than boys do on average. While no stage of parenting is what you would call easy, this stage is typically a more mild stage. What have you found to be true during this stage?